Asheville and western North Carolina are often on top ten lists (top ten cities for art, top ten places to retire, top ten cities for beer lovers, and the list of lists goes on, and on, and on…). Now, Asheville has been recognized as one of ten affordable summer driving destinations by weather.com. Specifically, they give a shout out to the Atlanta-to-Asheville road trip, which is just under four hours. Mt. 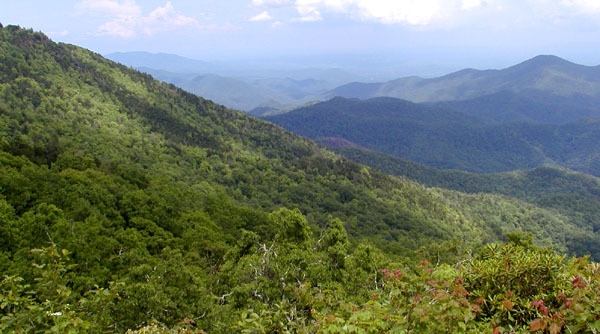 Mitchell State Park: Located on Highway 128 off the Blue Ridge Parkway an hour from the Inn on Mill Creek is Mt. Mitchell, the highest peak in the eastern United States. Average temperature in the summertime is only 66 degrees, so it’s perfect for a July or August afternoon. Linville Falls: See our recent blog post about this magnificent waterfall off of the Blue Ridge Parkway and Highway 221 in Linville Gorge, about 45 minutes north of the Inn. Catawba Falls: Cool off on the Catawba Falls trail that runs along the Catawba River to the bottom of a rather beautiful set of falls. The trailhead is 20 minutes from the Inn. Note the trail to the upper falls is currently closed. The Montreat Hiking Trail System: With 20 hiking trails, the town of Montreat provides a little something for everyone — from trails to panoramic views of the Black Mountains to easy nature hikes through rhododendron thickets. Montreat is 15-20 minutes from the Inn on Mill Creek, north of downtown Black Mountain. We have trail maps for guests. Park Rythyms Concerts in Black Mountain: Every Thursday evening at Lake Tomahawk Park in Black Mountain, enjoy free concerts made possible by sponsors. See the schedule at www.bmrecreation.com/. Free summertime wine tastings in Black Mountain: Every Wednesday evening, Merry Wine Market on State Street hosts free wine tastings, and every Thursday evening, you can enjoy free tastings at the Artisan Gourmet Market in the Village of Cheshire, just south of downtown Black Mountain. Colonial demonstrations at Davidson’s Fort: On the third Saturday of the month, Davidson’s Fort in Old Fort provides the public with an opportunity to view activities that would have taken place in this part of the country during colonial times. See www.davidsonsfort.com/ for details about events at this living history site. 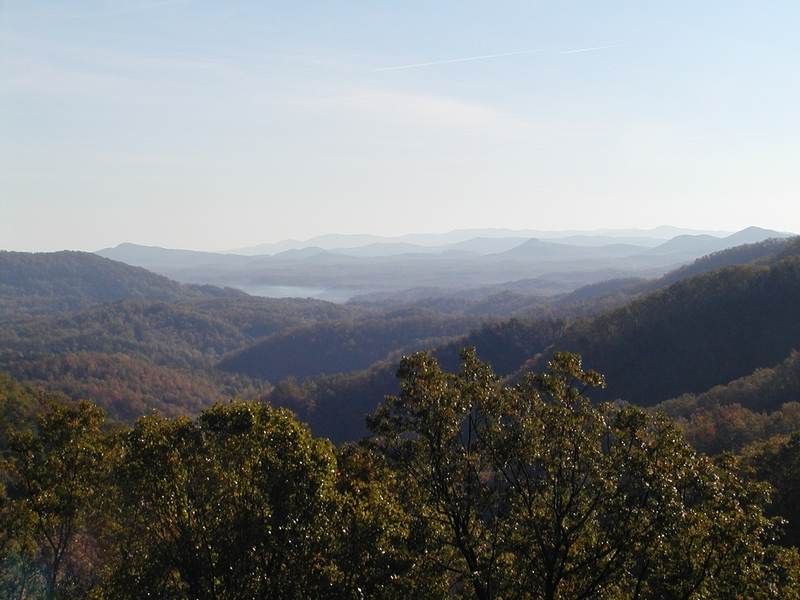 And don’t forget, we also have discounted tickets to Biltmore Estate and discount coupons to Chimney Rock State Park. We hope to see you this summer! This entry was posted in Uncategorized and tagged Asheville, hiking, Montreat, outdoors, Summer by Inn on Mill Creek. Bookmark the permalink.